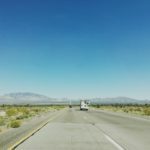 Fix My RV is based in Peoria, Arizona, serving Maricopa County and the areas surrounding and inside of the Valley of the Sun. We offer mobile RV repair near me services to the following areas: Peoria, Phoenix, Surprise, Avondale, Glendale, Goodyear, Litchfield Park, Morristown, New River, Scottsdale, Tolleson, and Wittman. Snowbirds from all over the country flock to our region each year because of its gorgeous scenery, amazing amenities, and fantastic weather. Everyone wants to escape the winter doldrums by discovering the western landscapes of our area of Arizona. If you find yourself in need of an experienced, reliable RV repair near me, call Jeff Averyt with Fix My RV at 623-875-5015. Jeff is a Certified Master RV Technician that will come out and inspect your RV’s electrical system and other parts and components. We can troubleshoot most any RV problem that you might have. If you are picky about your RV, we are the best team to work with. 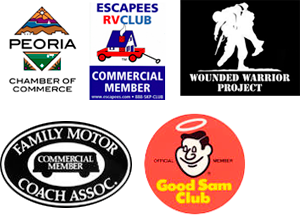 We can assure you that we are not the fastest, or the cheapest, however we are the most thorough and we do NOT ever cut corners with respect to a RV repair near me job. One of our most recent RV repair near me reviews had this to say about Jeff’s assistance, “It was a pleasure working with Jeff. He was punctual, thorough, and professional! He will be my first call if/when service is needed in the future.”. When you call Fix My RV, you can trust that you are in great hands.